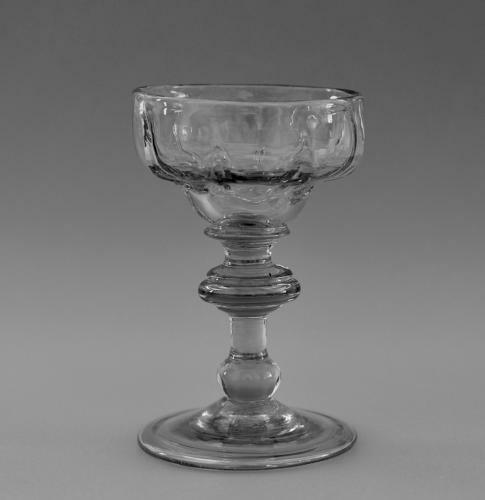 Sweetmeat glass with panel moulded double ogee bowl, the stem with shoulder collar and annulated knop andplain folded foot. English C1730-40. Note: A very good well made glass with crisp moulding and good colour.